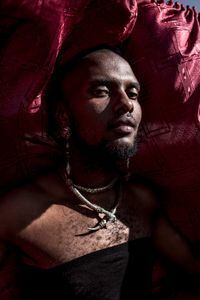 When creating 'fictional' work, Saunders often draws from his documentary projects, which are largely concerned with the people and environments of South Africa and Africa. Johannesburg born and based between Paris and Johannesburg, Saunders views his documentary work largely as a means of defining a local identity, through an interrogation of his environment and most especially, the varied and fascinating people who populate it – among them a host of subcultures and local 'culture crews', from the Smarteez to Pantsula dancers. 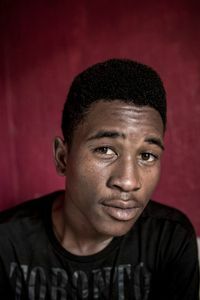 (Saunders' long term personal project documenting the world of Pantsula dancers was recently accepted for the 2015 Lagos Photo Festival, and is soon to appear as a book). Throughout, Saunders' work typically conveys an upbeat energy. He doesn't so much ignore surrounding political and social problems, as relegate them to the background, against which his subjects' boundless creativity generates an irrepressible optimism. 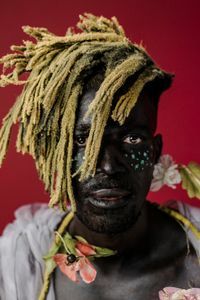 Having worked extensively across the continent and internationally – including Alicia Keyes' 2014 Keep a Child Alive campaign – Saunders defines himself as an African photographer. 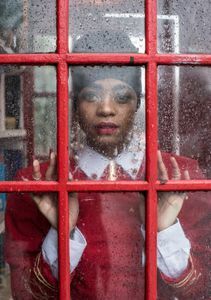 He has undertaken a multitude of collaborations, with artists such as Godfried Donkor, Anthea Moys and Kudzinai Chuirai; musicians, including Britain's OKZharp!, with whom Saunders created British Council funded video series Ghost Diamond; and many dancers, among them occasional 'muse' Manthe Ribane. 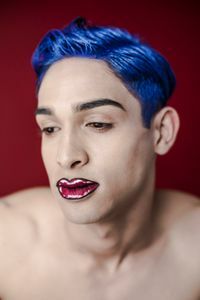 His collaboration with New York fashion designer Jenny Lai and a host of unique local creatives produced NotXCS, which exhibited in New York in 2014 before travelling to Johannesburg. Throughout his collaborations, he sees himself as a conduit – be it for a person, a brand or an idea – assisting his collaborators to tell their story, and definethemselves. In all team work, Saunders seeks out individuals who are 'masters' in their own creative fields, those he can learn from. He is in continual pursuit of knowledge, dedicated to pushing boundaries, 'to always incorporating something new, interesting and fresh'. Saunders has worked with leading agencies both locally and internationally, including the BBDO group, Jupiter Drawing Room, Ogilvy Johannesburg and Cape Town, M&amp;C Saatchi Abel, and Saatchi London; brands such as Virgin Active, Red Bull international; and magazines including Dazed among many others. 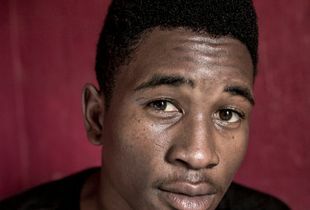 He is represented by Lampost for stills photography, and Ola!Films for his work in video direction. He was the recipient of a year long grant at Fabrica, Benetton's Creative Research Facility in 2010.